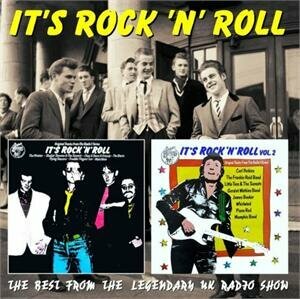 In 1976 a as result of a successful March to Broadcasting House by Teddy Boys from all over the Country, the BBC caved in and got Stuart Colman and Geoff Barker to DJ the show 'It's Rock n Roll' which broadcast every Saturday at 5.30 in the evening. The series ran from 1976 - 1979. Approx 300 specially recorded sessions were broadcast in this time. Only a handful have been released. Many of the top rockin' bands of the era recorded sessions especially for the show, the best of these went on to be released as two vinyl LPs, which have now been coupled together as a CD release. These recordings are the exclusive BBC sessions and are unavailable elsewhere. Several of the bands featured went on to become major artists scoring hit records bringing Rock 'n' Roll and Rockabilly into the charts. 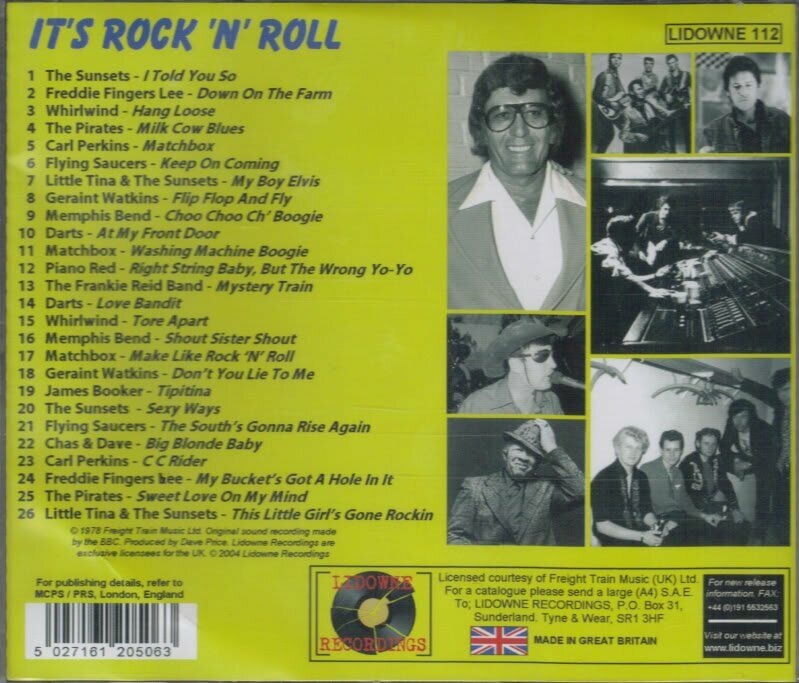 26 Rockin' Rollin' tracks from The Sunsets, Freddie Fingers Lee, Whirlwind, The Pirates, Carl Perkins, Matchbox, Flying Saucers, Little Tina, Geraint Watkins, Memphis Bend, Darts and others.